Good job for clicking on this article. That means you are one step closer to learning how to play violin. Honestly, in my 20 plus years of playing violin, I have learnt that anyone who wants to play violin can play violin. All it takes is a lot of practice and discipline. So what do you need to learn violin? Of course a violin. There are so many violins floating in the market that vary in pricing and quality. Some can be as low as $20 and as high as a few hundred thousands. As a beginner, you will expect initial scratching sound on a violin. With a low grade violin, the scratching sound will be so bad you might eventually think that you do not have the skills to play. However, with a decent violin, the scratching sound can sometimes be eliminated due to a better wood and better strings used to make the violin. This is very true. I have seen this happening many times during my teaching career. I have a student who bought a $100 violin and was going to give up as the sound produced was so bad due to cheap wood used. He was going to give up, I encouraged him to get a $800 violin and now he is taking his grade 5 ABRSM exam. If I did not advise him to change his violin, he would not be a great musician he is now. With a bad violin also comes bad fittings such as chin rest, uneven violin neck which causes your neck to give an obvious turtle neck. With that, you will not only look ugly when playing, you are also making yourself tired of playing as it strains on muscles all over your neck area. Soon, you will find out that playing violin makes you tired and you will eventually give up. Many beginners always have the idea of getting a cheap violin as they do not know if they will be committing to learning violin or not. So they do not want to spend too much on buying a good violin. However, if you want to learn to play violin, you have to put a mindset that you will be learning it for a long time. Therefore, investing in a good violin will only encourage you to continue learning and mastering this instrument. As mentioned above in my first 2 pointers, if you get a good violin, it will only promote your liking for learning it faster. Everyone and Anyone CAN learn to play violin. You just have to put yourself in the right mindset. 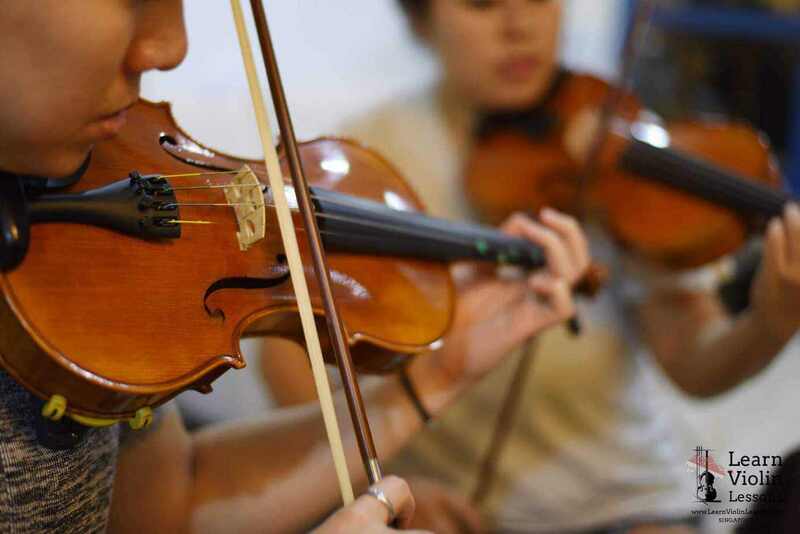 If you are a beginner and looking to start violin classes and getting a violin, please drop us a note at contact@learnviolinlessons.net or call/message +6593200979. What Is The Cost Of Learning To Play Violin?